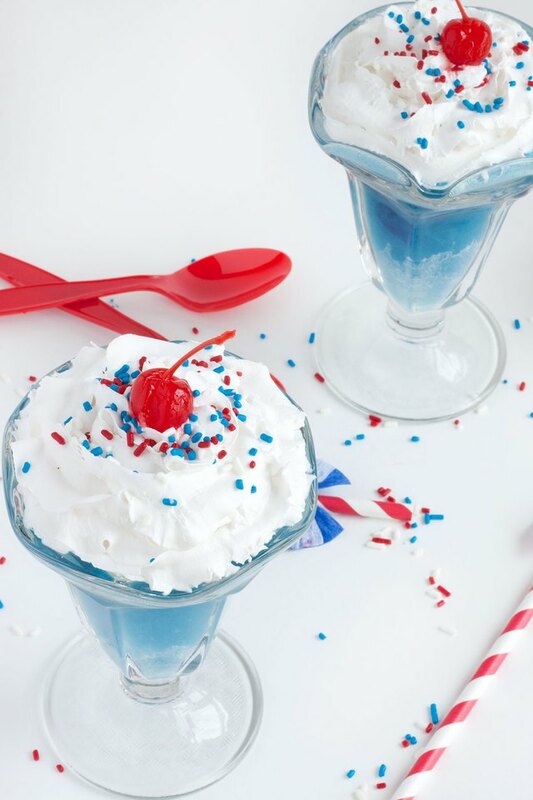 Patriotism is both fun and refreshing with these red, white and blue ice cream floats! 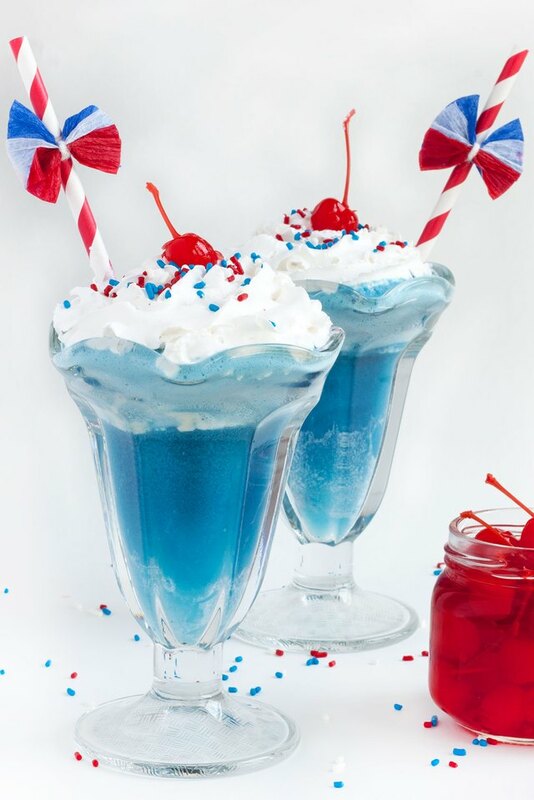 Kids and adults alike will love these refreshing patriotic treats, or my name’s not Uncle Sam. Place a scoop (or two) of ice cream in the bottom on your glass. Pour ginger ale into a measuring cup. 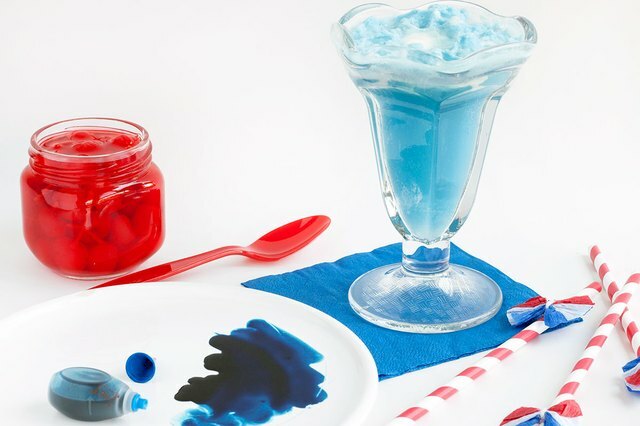 Stir in blue food dye one drop at a time until your soda has turned a deep blue. Slowly pour blue soda into float glass. Cover with whipped cream. 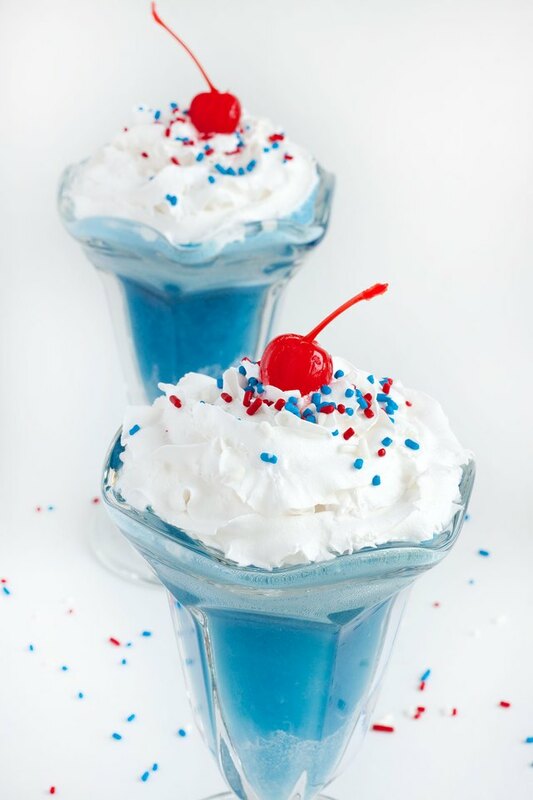 Top with red, white and blue sprinkles and a maraschino cherry. Serve and enjoy! 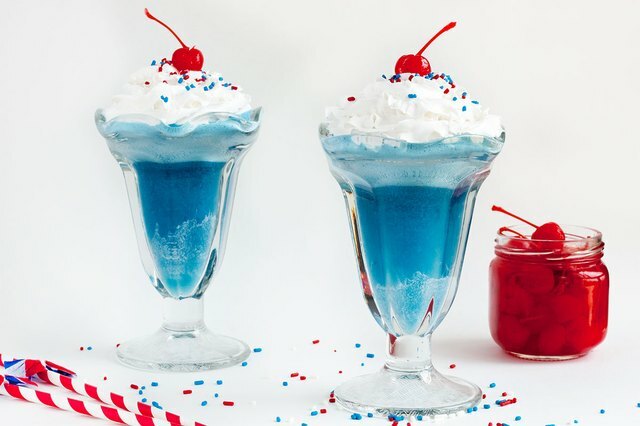 Add a red and white straw with some patriotic bunting for a super dope float!